Stylish front porch designs never go out of fashion and the ones you are about to see are among the best. 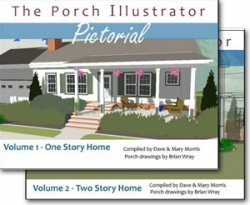 If you love front porches as much as Mary and I, these are sure to excite you. 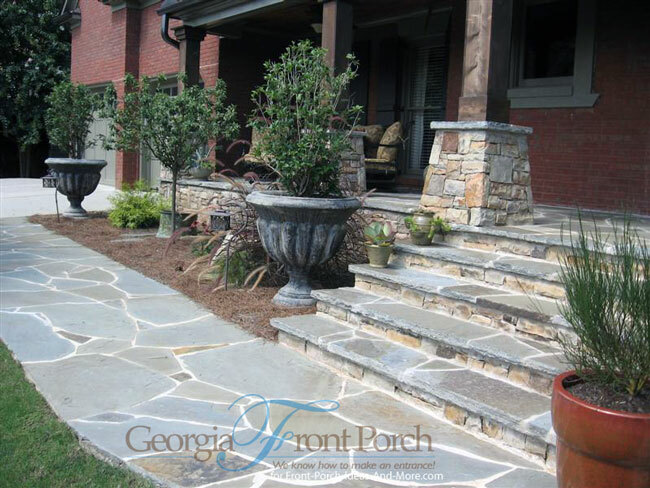 Georgia Front Porch has graciously shared a few of their porch designs with all of us. 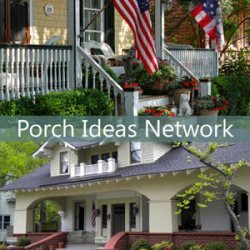 Located just outside of Atlanta, Georgia Front Porch has a wonderful portfolio of porch projects. A stylish front porch is designed to not only have massive curb appeal but also be quite functional. Today's porches do not need lots of maintenance either. Selecting the right products can reduce maintenance costs and extend the life of your structure. 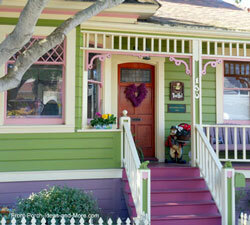 First and foremost; however, a front porch should make a statement. No matter the size, a porch, when designed and built well, should add value and complement the architecture of your home. 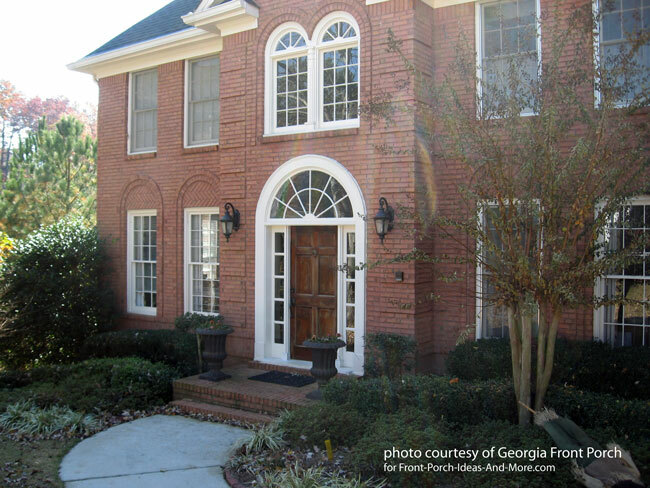 You will see what we mean when you take a look at these porches by Georgia Front Porch. Let's get started with an amazing "before and after" porch. 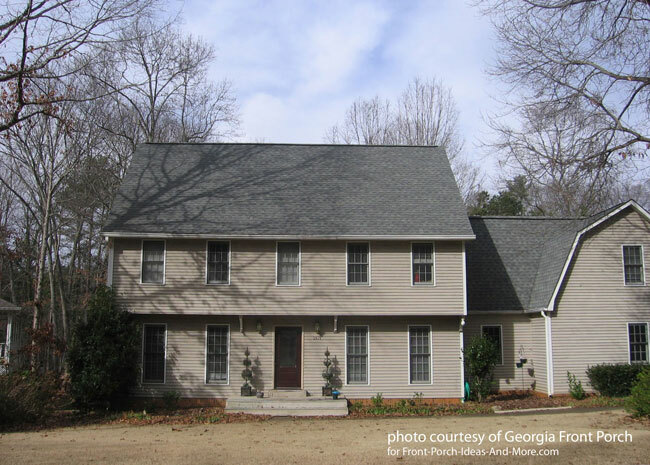 We start with a beautiful "porch-deprived" two-story home. 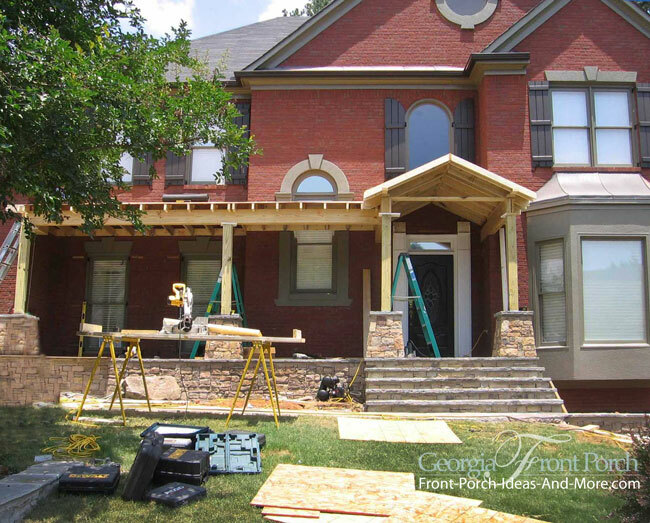 Adding a front porch to an existing home and making it look like it belongs can be difficult at times. How do you envision a new front porch would change the look of this home? Every porch has its challenges. The challenge of this porch is readily apparent. Can you see it? The owners wanted to retain the stairwell window to the left of the front door. To do so, it had to be split to accommodate the porch roof. Although an unusual request, Georgia Front Porch handled the challenge very well as you will see. Also note the framing for the gable roof over the door and the shed roof over the remainder of the porch. This combination is very popular as it separates the actual entrance from the rest of the porch - a hallmark of what we believe are stylish front porch designs. Quite the transformation! 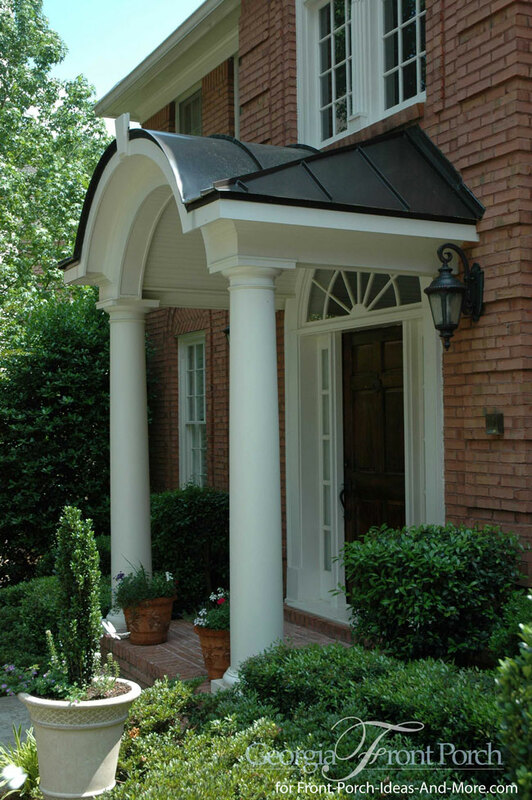 Cedar porch columns on stone pedestals supporting the metal roof along with an exquisite stone porch skirting make for a warm and inviting front porch. This front porch design dramatically changes the appeal of the entire home. The traditional tongue and groove porch ceiling adds warmth and charm and along with the recessed lighting and exterior fan, provide a most comfortable place from which to watch the world go by. The barreled ceiling is also tongue and groove. Note the stone work around the front door and the attractive cedar shakes on the front. Mary and I really like how they incorporated so many natural building materials into the front porch design. 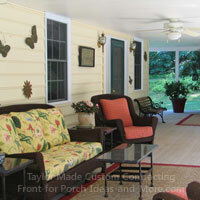 A stylish front porch design considers both flooring, steps, and walkway options also. 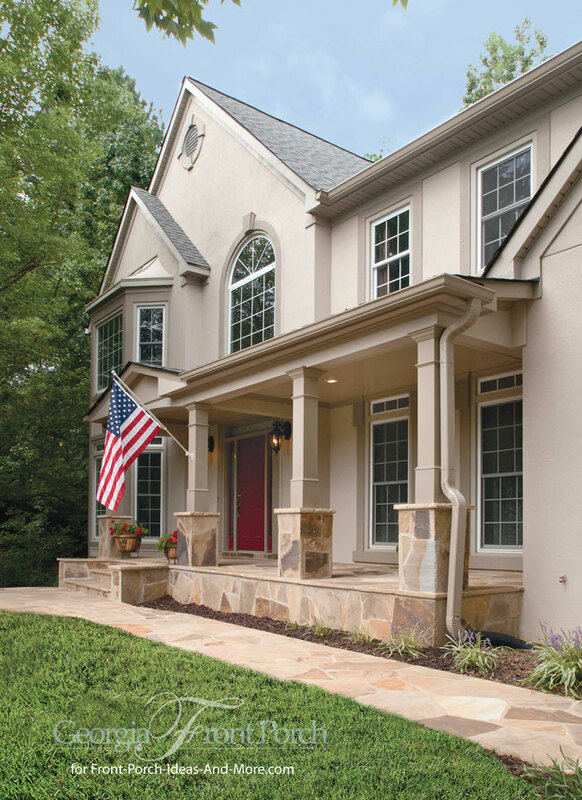 As you can see, the stone porch floor, steps, and walkway create cohesiveness and creates a nice transition from the outside to the interior of the home. 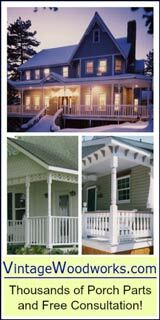 Selecting the best porch step design and materials is essential to creating a curb appealing porch. 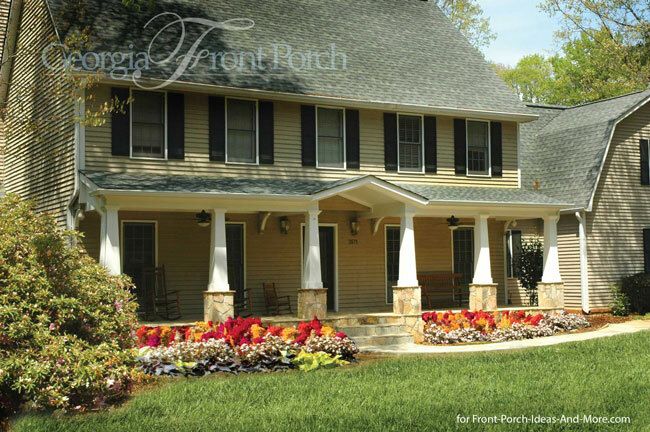 Explore your options to find just the right steps for your porch or portico. 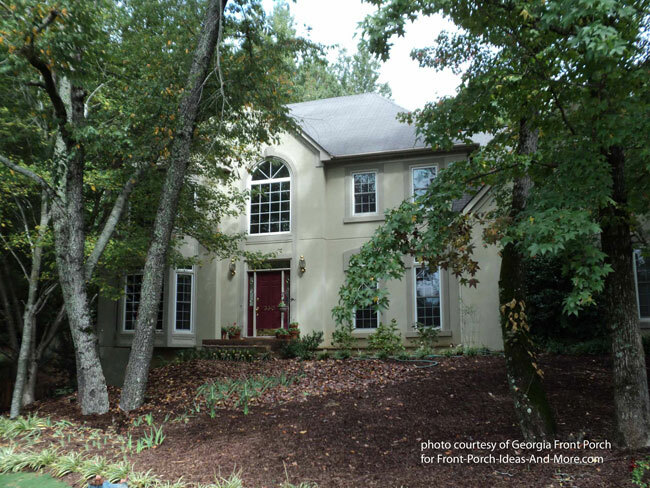 This southern stucco home offers no protection from rain or the hot Atlanta sunshine. Another beautiful home that is "front porch deprived", but all is not lost. A little transformation is in order. This front porch, and home, definitely have the WOW factor! The right front porch design does more than just add extra outdoor living space; it adds a whole new dimension to your home as seen below. We like how Georgia Front Porch designed the porch steps. Flaring your steps makes your porch seem larger and gives it a little extra pizzazz. 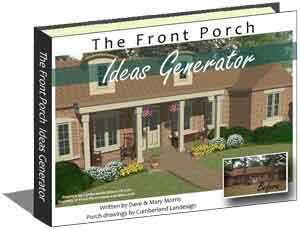 This is a design feature that works really well on almost any size porch. Note how the color of the stone blends in with the home itself. Considering the color of your natural materials is essential to achieving a great porch design. 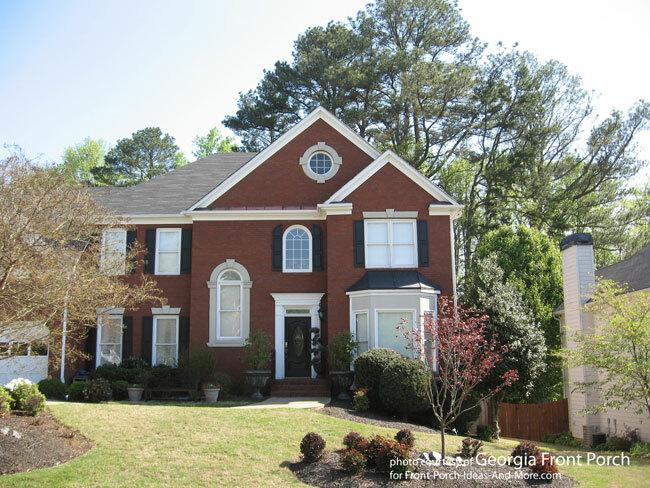 This southern residence has nice brick work but needs not only entry protection but also a little more curb appeal. Not all porches have to be large. You can achieve lots of appeal by constructing either a small porch or portico. This home's architecture naturally lends itself to a portico. 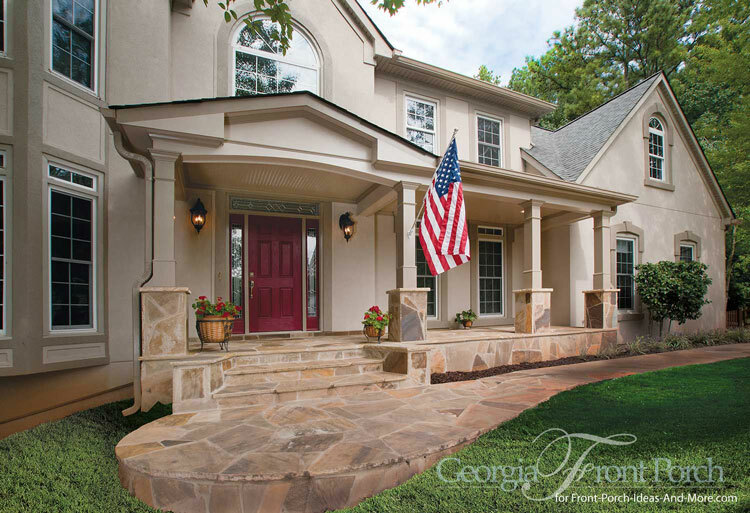 This beautiful new portico designed and built by Georgia Front Porch has an elegant, contemporary design. The homeowner offered input regarding the roof and the final design features a wonderful barreled ceiling with standing-seam metal roofing. Standing seam metal roofing is very popular as is other types of metal roofing. 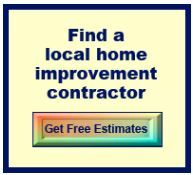 It lasts a long time with minimal maintenance and comes in a wide variety of colors. Mary and I really like this specific barreled roof design; it's something you don't see very often. It really sets this portico apart from most others. 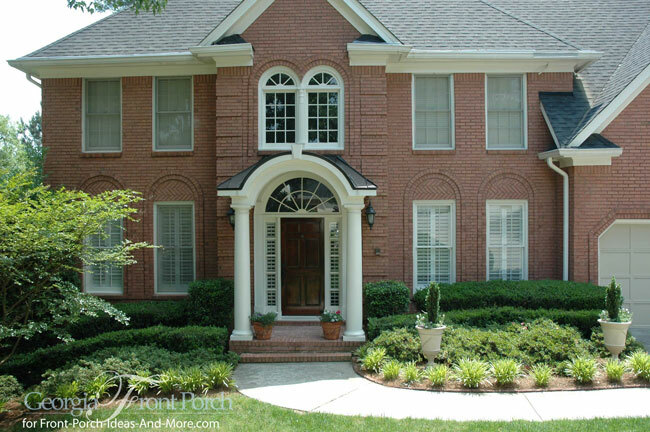 Now this is a curb appealing home, portico and all and what we'd say is definitely a fabulous front porch design. 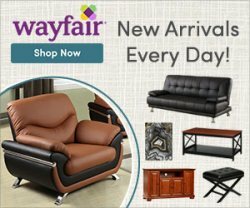 Who doesn't enjoy great before and after photos?! 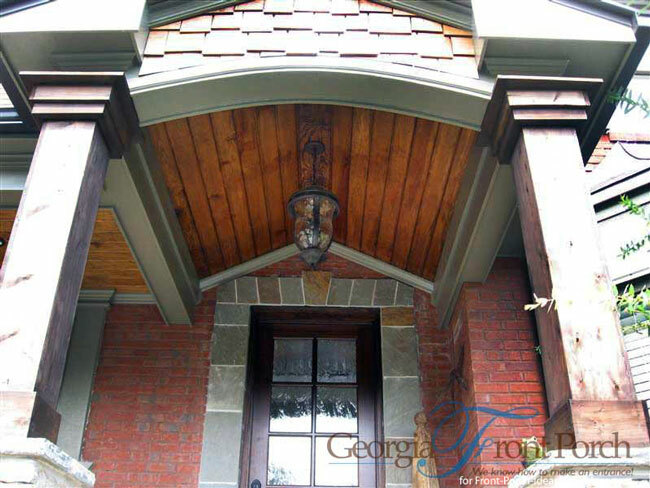 We just had to share this one as a testimony to Georgia Front Porch's amazing porch designs. Renovated with a full front porch that has major curb appeal features: an open gable with tapered columns over stone piers, rocking chairs, and bench seating to invite friends and neighbors for relaxing conversations. 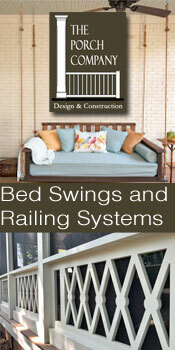 Mary and I were truly excited to share this fine porch building company with you. 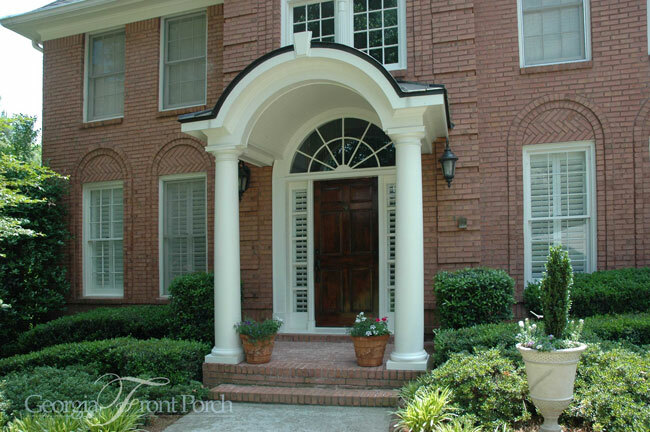 We are believers - they design and build wonderful front porches and porticos. 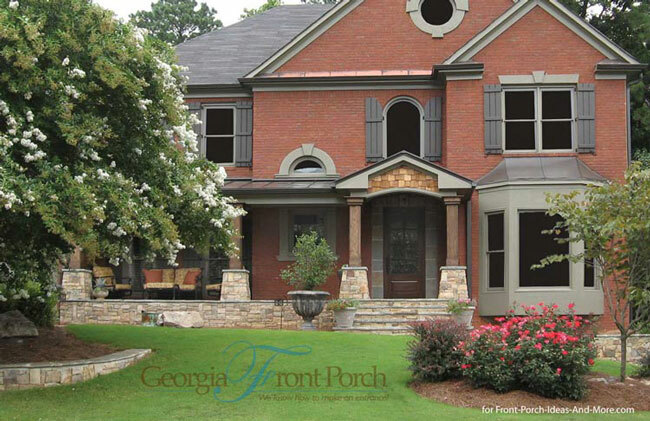 Georgia Front Porch specializes exclusively in the design and building of porches and porticos for residential homes. 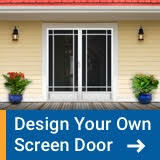 As you can see from the photos above, they are experts at creating the front porch designs to enhance your outdoor living experience and create massive curb appeal. 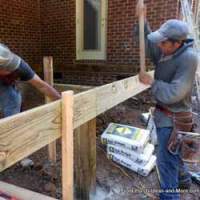 Budget conscious, Georgia Front Porch appreciates your budget and will work with you to protect your investment and create a porch you'll enjoy for years to come. 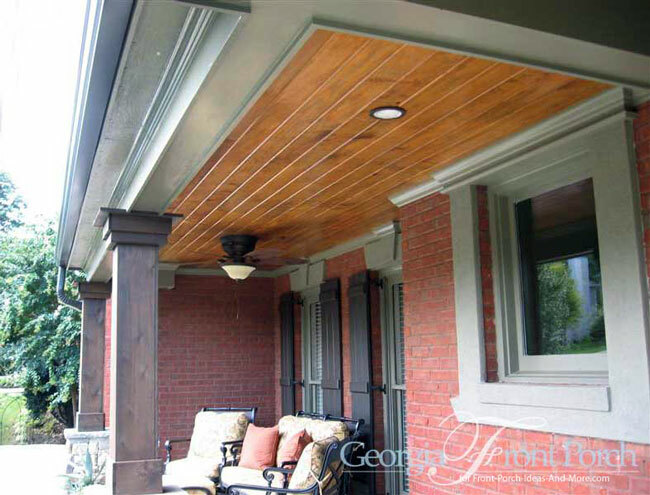 Georgia Front Porch, a division of Atlanta Decking & Fence is family-owned and operated, and take great pride in surpassing your expectations. If you live in the Atlanta area, do yourself a favor and call Georgia Front Porch. They know how to make an entrance. Wonder what it takes to build a porch? We have an entire section devoted to building a porch. See this incredible front porch makeover by The Porch Company. It's the details that count.